Last week my husband called me from the back yard. 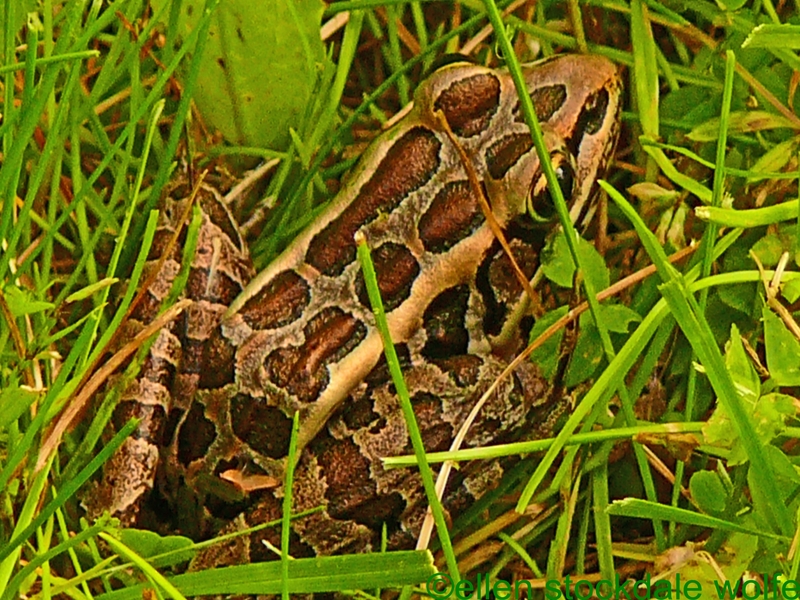 “Come quick, come see what I found.” I ran to the back door where he was, holding out his arm, and there in his hand sat a teeny green frog, about the size of a thumbnail. I oooed and aahhed over it and thanked him for calling me. The frog had jumped onto his arm while my husband was unrolling the garden hose, its temporary home. “How wonderful!” I said. And then I thought some more about it and I realized I was jealous. Jealous of the fact the frog had jumped on my husband’s arm and not mine. “Well, he deserves the frog more than I do,” I found myself thinking, as if any of us deserve such things. Today I began to think more about this. I remembered when we had first moved in. My husband was at work and I saw a mound in the grass moving out the back door window. Upon closer examination I found to my utter delight it was a box turtle. This time it was my husband, an affirmed reptile lover, who was jealous and even admitted to being so. Okay, jealousy of such things is obvious and on the surface in children. Yet we were dealing with adults here who, it seems, covet visits from animals. We cherish an interchange with a creature. And why? I remember the Sunday night a few years ago, apprehensive about a challenging week ahead, when I saw a stag in the woods behind our house. I called to my husband to come see him. He was stunning with huge antlers, an imposing presence. And suddenly I knew everything would be alright. Why? Because the stag in the distance– majestic, princely, beautiful was a sign. And how thrilled we are to have a snapping turtle return every year to lay her eggs in our driveway. We feel privileged. Again, blessed. 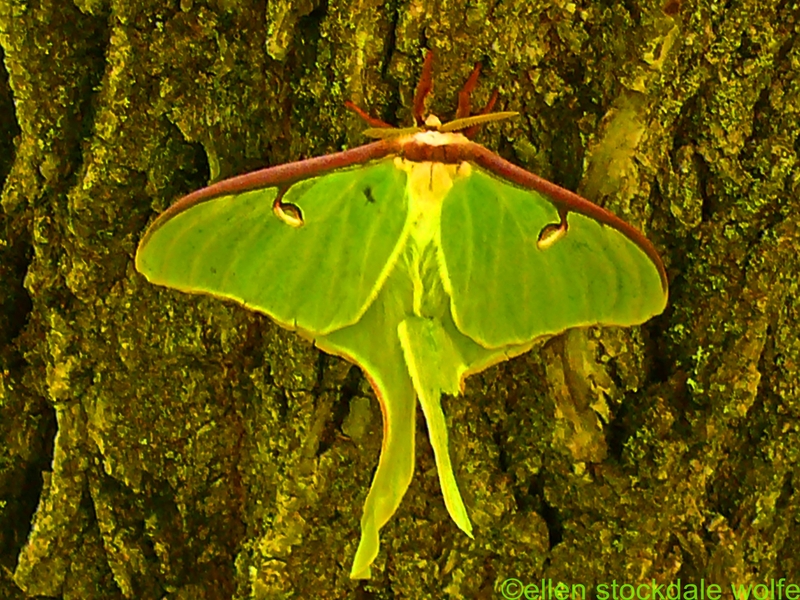 Or when, with delighted guests, we saw a giant luna moth flying in the porch light one night. And the countless times a butterfly lands on one’s body, on a shoulder or head, or a dragonfly visits an arm or a sleeve. And, the beautiful hummingbirds. We even had a hummingbird nest in our Black Birch. Such visits feel so special– to have these delicate, exquisite creatures land near us or live in the trees near our house. Even when my least favorite reptile makes an appearance out from under his home on our back deck, a tiny garter snake, the spirit soars. Research has shown how having pets is therapeutic. We are blessed by animals who trust us utterly. We feel their trust and it is pure, unalloyed by human characteristics. We don’t deserve such trust and yet we receive it as a gift. We have made contact with a being of a different species who lives in a different world whose being synchronizes with different biological rhythms. The native Americans believed animals to be spiritual guides that have much to teach us. Psychology tells us Nature is a natural antidepressant. An animal can disarm the most defensive, enchant the most mentally ill, bring out the goodness in the criminal, and bring a smile to the face of the young, old and in-between. And, yes, animals can be pests when they get into where they don’t belong or become aggressive or defensive in a bad way. But our world is a richer, more vibrant place because of them. Animals bring us out of ourselves and into the experience of awe. Their innocence lightens our loads, allowing us to share the “mystery of the other” with others, drawing us closer to our friends and family. We share the world with animals and they share their hearts with us. And their innocent interactions with us are blessings from God. This entry was posted on June 20, 2013 by stockdalewolfe. It was filed under Animal & Landscape Photographs, Animal Columns & Poems, Nature Photography and was tagged with Animal as guides, Animal therapy, Animals, Animals as teachers, Animals as therapeutic, Antidepressants in nature, Blessings, Luna Moths, Natural highs, Nature, Spirituality, Trust in animals, Turtles, Wildlife visits. I love your picture and your sense of awe over nature’s creatures. It is always a treat to see wildlife in our garden – even the teeny tiny ones. Thank you, Wendy. Loved your blog. You have some really great shots. Thanks for the reminder– had forgotten about him. I should think of St. Francis when we see these wonders. What an adorable story. And it is true how animals of any kind are a natural apothecary. Guess that is one important reason God created them. I love the title. The joys, humanity can experience in the animal kingdom and nature is the real high and some may agree becoming one with them is the true purpose of life. Becoming one with them being the true purpose of life– I think there is something to this. Just “being,” as I was discussing with a friend yesterday, is the purpose of life. And all this running around is foolishness. I love your comments, Arjun. They bless my heart because they come with such depth. Blessings to you, my dear friend! Thanks, Dear Running Elk! You must be full of animal stories. Was reading about training to be a shaman– sounded REALLY interesting and impressive. Maybe the frog jumped into your husband’s arms so that your husband would have the good fortune frogs bring, and by his showing you – the frog brought double fortune to your lives. Frogs are very intelligent, it jumped where it did for a reason. Maybe… I think the frog knew a kind soul.